Personal security is extremely important – to everyone! While we don’t necessarily mean making sure you have your keys, money and mobile phone to hand at all times, there are some individuals who may require a whole other level of close protection. If your job or role in society is high-profile or you are at particular risk from public threat, arranging for personal or private security should be near the very top of your priorities. Luckily, we’re happy to arrange such protection for you at a very affordable rate. Here at ACES Security Leeds, we are dedicated to providing talented and dedicated staff for almost any security or safety need – and close personal protection is no different. We can provide dedicated security escorts for public events and conferences to help ensure that you are attended to and kept away from any potential harm at all costs. 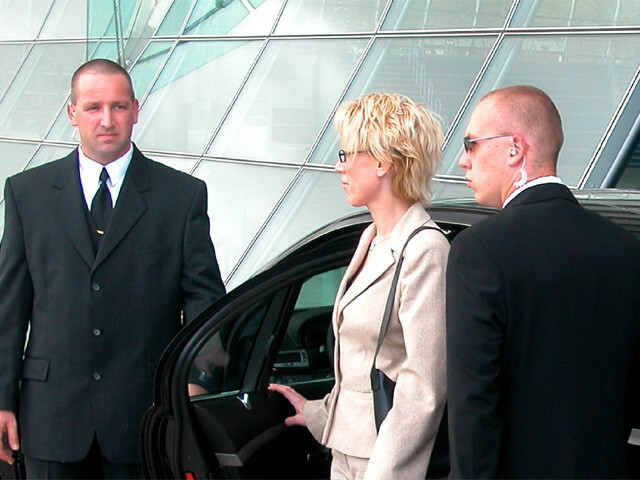 This is a body guarding service that we are extremely proud to provide as a result of our expert vetting, training and selection process – while we offer a wide range of event security and stewarding for large seminars and private parties, our bodyguards are perhaps the best close protection experts we provide. You may not require personal security when out and about – but if you need an on-site bodyguard or security personnel at your property or place of work, our close personnel can even attend to these needs. Our staff understand and are passionate about protection, and our bodyguard service is perhaps the most dedicated – as it’s all about you! No person is unimportant, though we believe that if you need the protection, you should be entitled to a fantastic and affordable service that will help you travel and rest easy.